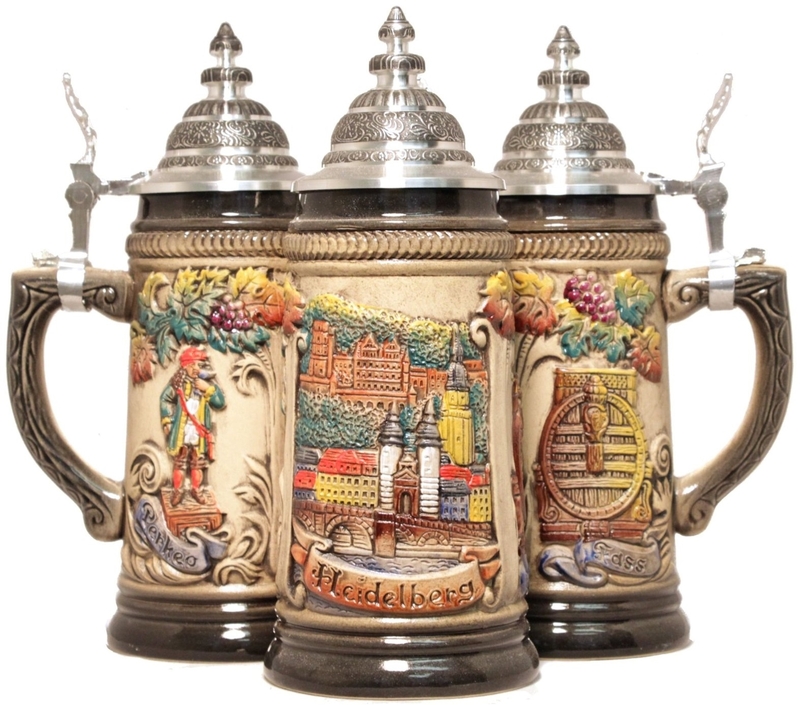 The handpainted stoneware relief shows the City of Heidelberg. 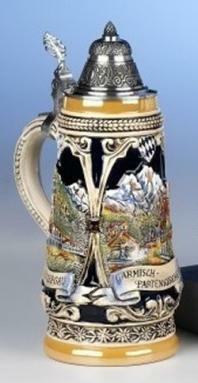 One side has the Fass (large wine vat) and the other side has Perkeo . 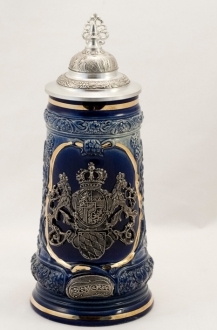 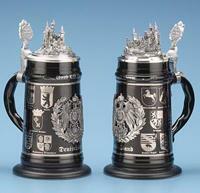 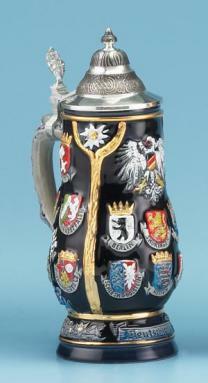 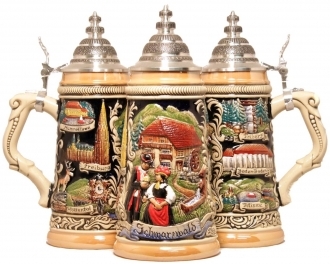 This 1/4 liter stein is about 8.5 inches tall.